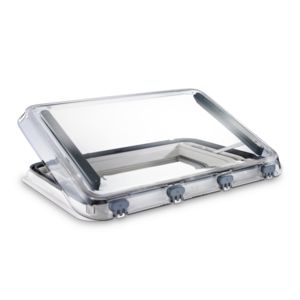 If you enjoy plenty of daylight and fresh air in your motorhome or caravan, this sturdy tilting roof window perfectly fits the bill. Among other things, the double-pleated honeycomb roller blind with light provides perfect protection from the sun. 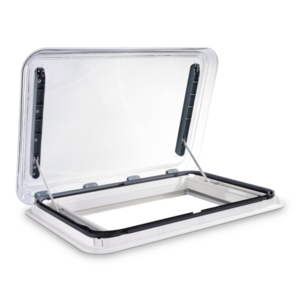 The Dometic Heki 3Plus roof light adds comfort to your motorhome or caravan with a black gauze screen that keeps insects out while letting fresh air in. The frame is made of a sturdy weatherproof plastic. A double-pleated Duette honeycomb roller blind is mounted on the side to protect you from the sun. Includes a secure locking system for your peace of mind. The Heki 3Plus is available with or without integrated lighting.